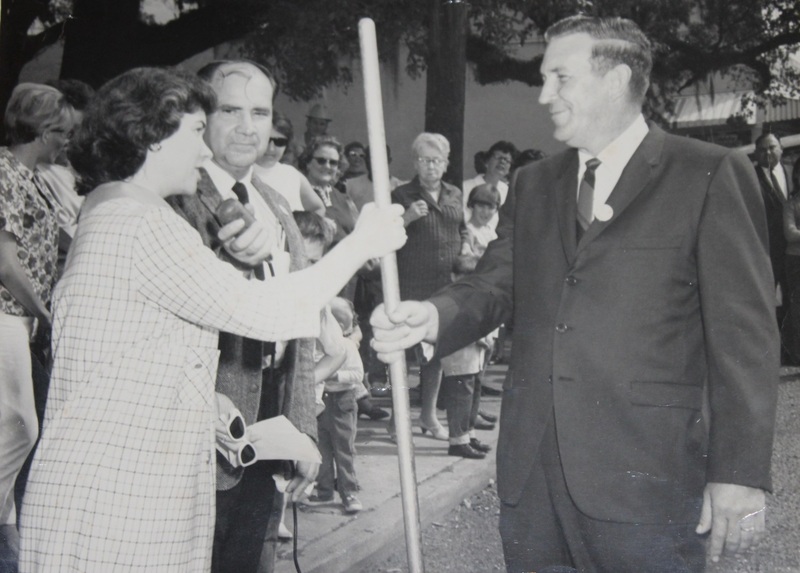 In September of 1967, citizens banded together to take part in Covington's "Clean City Parade." In this photo, Patricia Clanton, at left, is shown handing a "golden broom" to Mayor Ernest Cooper while Rick Webb, center, of WARB radio station looks on. The parade featured a number of city trucks which would be sent out to clean up the city. Photo submitted by Pat Clanton.